Sustainability News | News and updates about sustainability efforts on campus and in the Colgate community. Everyone’s favorite time of year is now upon us. 13 Days of Green begins this Wednesday April, 10th and we are excited! 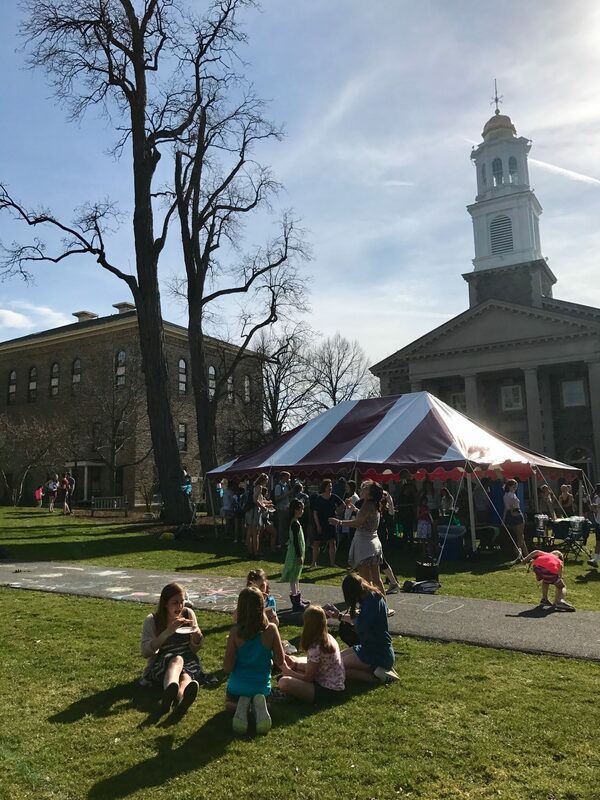 This year marks Colgate University’s 10th annual 13th Days of Green, a tradition where the Office of Sustainability hosts programming throughout the 13 days leading up to and including Earth Day. The first Earth Day in 1970 grew out of the counterculture energy that pervaded America and served as a response to physical environmental harms such as air and water pollution. On April 22, 1970, 20 million Americans took to the streets to demonstrate for a healthy and sustainable environment in coast to coast rallies. This was an important moment in the environmental movement because it represented groups coming together to fight for shared values. In 1990, Earth Day went global, and activists mobilized to lift environmental issues onto the world stage. Today, Earth Day is now the largest secular observance in the world, as it is celebrated by more than a billion people every year. The day represents decades of activists fighting for change, transboundary solidarity, collective demand for action, and hope for the future. University and college students have always been at the forefront of the environmental movement, so it was only fitting that 10 years ago, Colgate University launched 13 Days of Green in an attempt to do its part and be part of national and global action. This year, there are many exciting events planned for the 13 Days of Green. Highlights include the Kickoff Celebration on April 10th, the Green Summit and Oak Awards on April 11th, the Day of Service on April 20th, and the Carbon Neutrality Celebration on April 22nd. 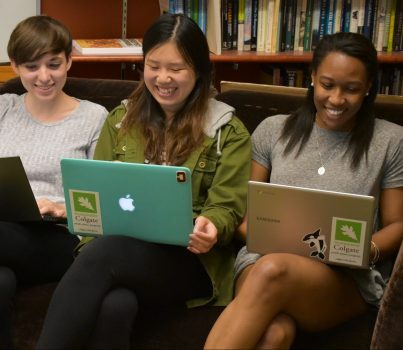 All of these events are geared towards engaging the student body in environmental action and awareness, as well as bringing a sense of excitement about sustainably to the campus climate. The full 13 Days of Green Calendar can be found here. 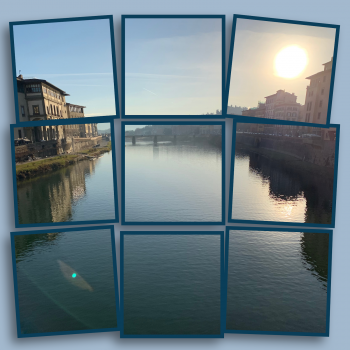 Over the 2019 winter break, I spent ten days with Professor Tseng exploring the water climate in Italy. On our sojourn, Professor Tseng and I traveled together across the geographic spine of the country. Our journey started in the northern city of Florence and we traveled down the country to the port city of Naples. Along the way, we collected samples from public water fountains, met with colleagues from several Italian universities, and explored the wonderful world of Italian food and culture. I started conducting research with Professor Tseng after taking her core water class in the spring of 2018. The class opened my eyes to the plastic water system endemic and motivated me to raise the further question as to what environmental impacts this might have. In the fall semester, with the constructive guidance of Professor Tseng, I conducted an experiment to understand on a deeper level how hydrophobic chemicals (particularly how personal care products and pharmaceuticals) bond to plastic strands. Working on this experiment was thrilling and motivated me to continue working on this project this coming summer. This summer, thanks to many of Professor Tseng’s connections in Italy and our information-gathering trip over winter break, I hope to continue this project in Ancona, Italy as I explore some connections between microplastics and wastewater. Our journey started at the baggage gate in the Florence airport, gratefully meeting after hours of flight delays. 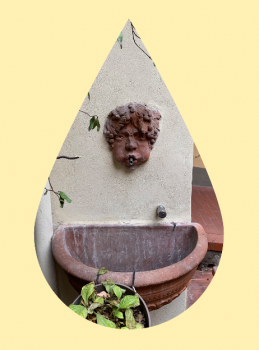 Soon after, we settled in Florence for the night, and the next day I began gathering samples at public fountains scattered throughout the city. I was provided with a map of the fountains, and from there it was a treasure hunt to collect water at each location. Not only did I enjoy traveling across the city in this manner, but I also gained a deeper understanding and appreciation than what would have been possible as a tourist. The fountains were located in both heavily trafficked parts of the city and more residential parts. The main aim of obtaining water from public fountains in Italy is to understand historical patterns of the quality of the drinking water. Professor Tseng has been running this experiment annually for several years, hoping to observe and catalog any trends in the chemicals present in the public Italian fountains. This experiment aims to provide a metric for understanding water contamination in Florence. After collecting all the samples we needed from Florence, we took the Frecciarossa to Ancona where we met up with several academic colleagues who study microplastics at the Marche Polytechnic University. 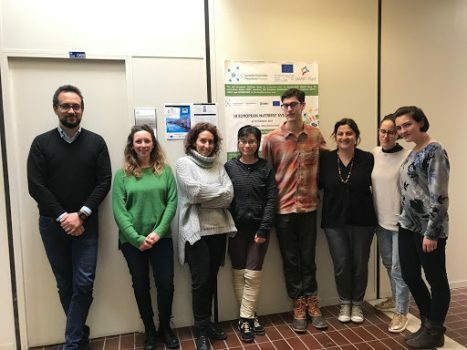 It was inspiring to learn about all of their different projects relating to microplastics and how the European and mainly Italian educational system works closely with companies to research and develop new technologies. It was shocking to hear from Professor Francesco Fatone, the project leader in Ancona, that almost no basic research was being conducted in the engineering department of Marche Polytechnic University. While in Ancona, our visit overlapped with the University’s recent shipment of Antarctic sea creatures. It was extremely exciting to see in person creatures that had never left the Antarctic climate. Once we had finished learning about the projects that the Francesco Fatone’s team were involved with we headed back north to Bologna to spend the weekend. Bologna was an absolutely beautiful city, rich in history and art and quickly became one of the highlights of the entire trip. Over the weekend I visited several churches and a myriad of museums ranging from modern to very historic. Our final stop on the journey was to the southern city of Naples to visit several professors and graduate students at the University of Naples. This university was an excellent opportunity to meet even more scientists interested in the wastewater and natural water systems. As the University of Naples is much larger than Marche Polytechnic University, I had the privilege to learn about many more projects with a much broader scope of focus of water issue. I am incredibly thankful to Professor Tseng, the ENST Department and Colgate University for making this trip possible. I was able to take so much of what I learned in Italy over those ten days and bring it back to Colgate. I am beyond grateful for all of the opportunities I had to learn from professors and graduates students. One of the biggest takeaways from the entire trip was learning about the importance of international collaborations and how to develop professional academic networks. I had never explored this learning outcome prior to this trip but with this new found knowledge I hope to continue developing these skills as I explore water-related issues further. The Office of Sustainability is pleased to announce that applications are now open for paid internship positions with the Office and the Community Garden. The Office of Sustainability is hiring interns for the summer of 2019 to work on a wide range of projects to advance sustainability at Colgate. This is an exciting opportunity for Colgate students to get hands-on experience putting sustainability into action, working to support the Program Coordinator and Director of Sustainability. The internship requires up to 40 hours per week, starting in late May and ending in early August. Work schedules are flexible and will allow for vacation time, however a total of 10 weeks of work during the summer is required. To apply for this position, please email your resume and cover letter to pgramlich@colgate.edu by April 14th. More information about the position and application is available on the portal. 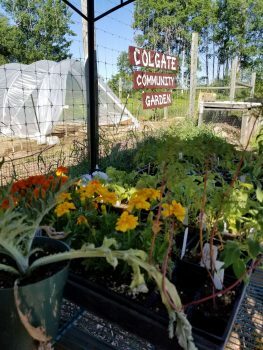 The Colgate Community Garden is hiring two interns starting in early/mid May 2019 until mid/late-August 2019. Garden interns will help manage and promote the organic community vegetable/herb garden on campus. This is a physically demanding, yet very rewarding job. Work includes long days and exposure to outdoor elements (e.g. heat, sun, rain, etc.). The student interns are expected to coordinate and organize volunteers and community work parties, as well as carry out an independent garden project from conception to completion. The Garden interns will report directly to garden manager Beth Roy. Interns will work in close collaboration with other Colgate students, faculty, and staff to plan and manage the garden. The student interns will gain life-long skills and knowledge in planting and maintaining an organic garden, organizing events, and supervising volunteer workers. To apply to be a Garden intern, please email your resume and cover letter to eroy@colgate.edu by April 14th. More information about the position and application is available on the portal. This year marks Colgate’s tenth consecutive greenhouse gas inventory report. Colgate’s gross campus carbon emissions in Fiscal Year 2018 (July 1, 2017 to June 30, 2018) was 9,464 metric tons of carbon dioxide equivalent (MTeCO2). We have reduced our net campus carbon footprint by 12,332 MTeCO2, representing a 72.9 percent reduction since 2009. 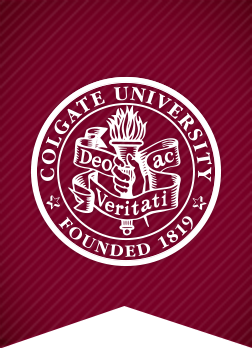 Since signing the American College and University Presidents’ Climate Commitment (ACUPCC) in 2009, rebranded as Second Nature’s Carbon Commitment, Colgate has implemented many changes on and off campus to achieve these reductions, moving closer toward our goal of carbon neutrality. 2018 State of Sustainability Report. February 10-16 was a garbage week for some people at Colgate. 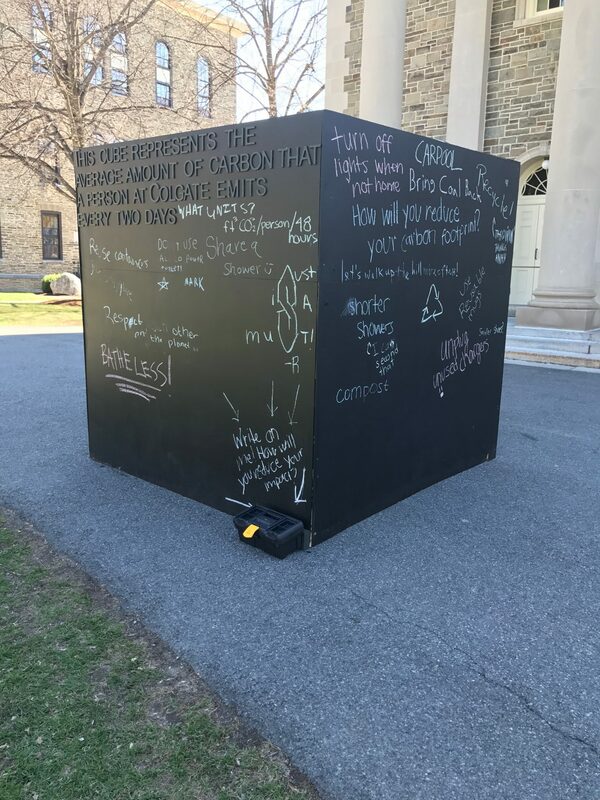 To bring awareness to the amount of trash produced by individuals on Colgate’s campus on a daily basis, 34 students and 8 faculty and staff members carried their trash with them for a week. 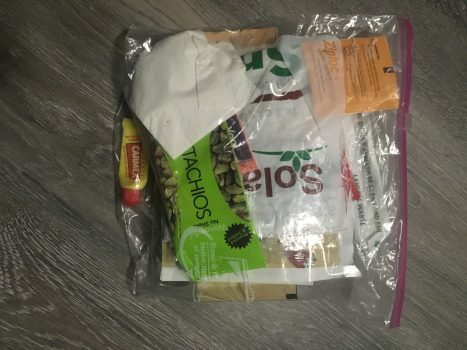 Throughout the week, participants opted to dispose of their waste in a Ziploc bag instead of a trash can. 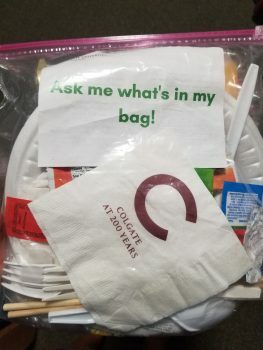 All trash produced during the week, except for hygiene products and food waste due to health and safety concerns, was carried in the bag and was visible for all to see. Many bags were completely full by the end of the seventh day, clearly demonstrating how much waste an individual can produce in a week. Some of the most common items were food packaging, plastic silverware and food boats from the Coop, and paper towels. 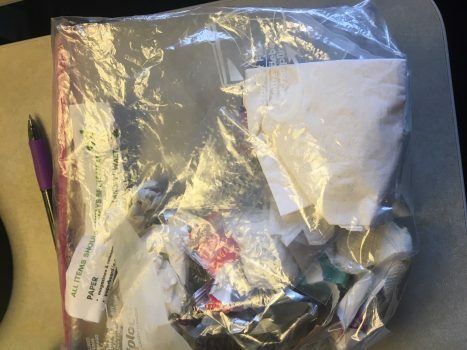 Participants say that they tried to limit the amount of trash they produced throughout the week, but many items, such as paper towels used to clean equipment in the gym, were unavoidable. 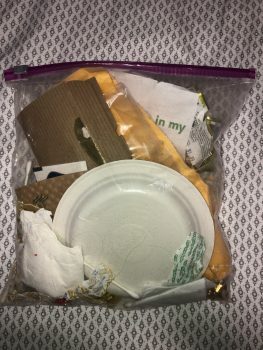 According to one student, “I didn’t realize how many simple items are impossible to use without producing trash, especially food wrappers and containers.” About 50% of participants produced more trash than they originally anticipated. Carry Your Trash Week has made students, faculty, and staff members more aware of the waste they produce. One student reported that “it is so easy to throw something away without thinking about it. 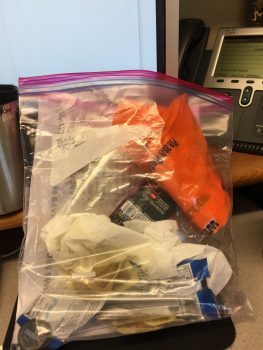 Having to actively put it in a bag makes you much more conscious.” Additionally, Carry Your Trash Week has inspired people to change their behavior. Many students have committed to bringing reusable silverware up the hill and opting for a reusable mug instead of a disposable to-go cup. 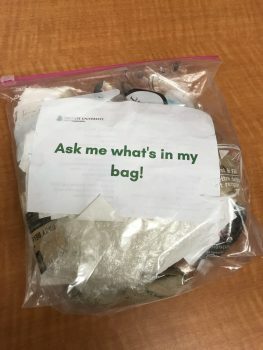 Although overall campus engagement fell short of expectations, Carry Your Trash Week was still a great success, as many people on campus became more aware of the trash they produce and are taking action to consciously reduce their waste. 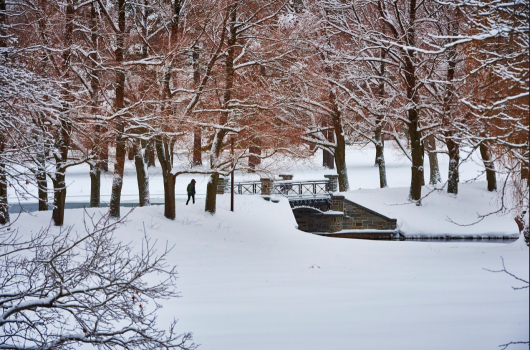 It’s no secret that Colgate students face quite a challenge staying warm during the frigid central New York winters. However, heating is incredibly energy intensive and greatly contributes to Colgate’s greenhouse gas emissions. In 2017, over 50% of the university’s carbon emissions were associated with heating. Colgate’s heat comes from multiple sources including wood chips, natural gas, fuel oil, and kerosene. In order to heat campus as sustainably as possible, Colgate has recently made upgrades to campus infrastructure. For example, natural gas replaced fuel oil in the townhouses during summer of 2018. Although natural gas is a non-renewable resource, it is still much less carbon intensive than fuel oil. Additionally, the heating plant has recently been upgraded to support more efficient wood chip burning, which is a carbon neutral source of heat. These upgrades will help to reduce future carbon emissions. Establishing healthy heating habits now will also benefit you later in life when you’re responsible for paying your own heating bill. According to energy.gov, lowering the thermostat by 10-15 degrees for 8 hours per day will help you reduce your bill by 5-15% per year. Heating is a necessary part of life, especially during the Spring semester at Colgate, but is unfortunately a large contributor to carbon emissions. Therefore, it is important to be mindful of how much energy we use to heat our rooms and do what we can to stay warm sustainably. 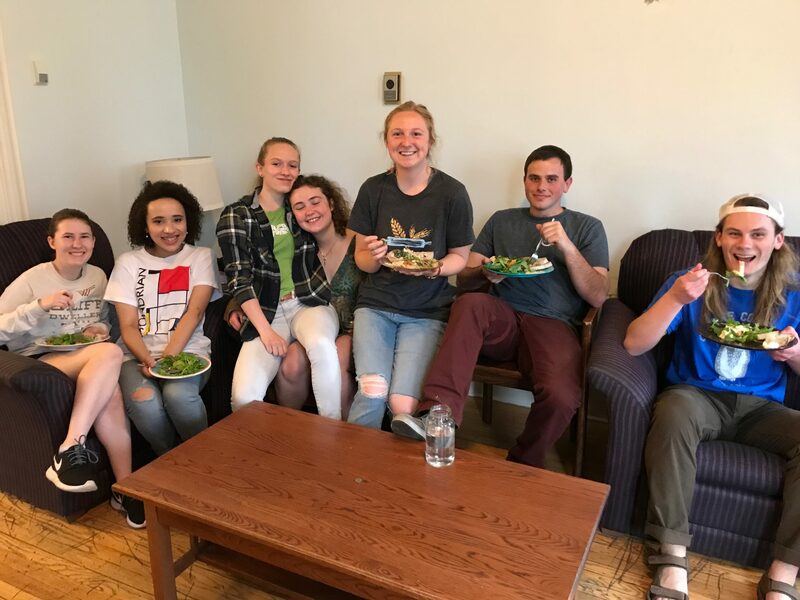 The Sustainability Representative (S-Rep) program introduces first-year students to the sustainability culture at Colgate and equips them with the skills and information they need to improve sustainable practices in their Commons communities. These are the 2018-2019 S-Reps! Ellie Lawrence is a Brown Commons S-Rep from Chicago, Illinois. She intends to double major in Political Science & Middle East/Islamic Studies. Ellie is involved with Club Ice Hockey & the Office of Admissions, and also enjoys skiing, working on political campaigns, and journalism. Ellie is passionate about making this campus a more environmentally-minded place. 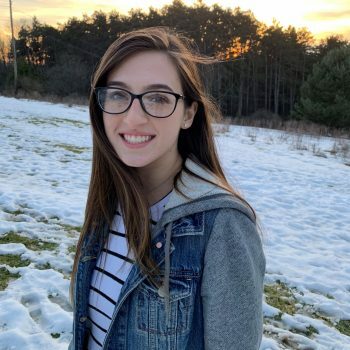 Juliana Koller is a Ciccone Commons S-Rep from Weston, Connecticut. Juliana intends to major in Environmental Studies. She enjoys being in Shock Dance Group and working at her sleep away camp in the Berkshires. 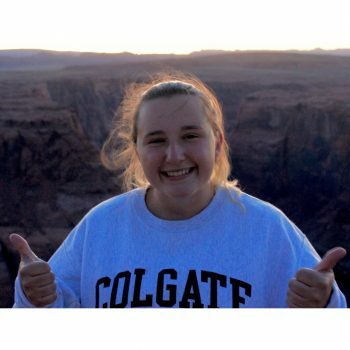 Juliana is excited to help run events for Colgate’s 13 Days of Green. Willa King is a Brown Commons S-Rep from New York, NY. She is an Economics major and is involved with the Hamilton Fire Department. Willa also enjoys baking and backpacking in her free time. 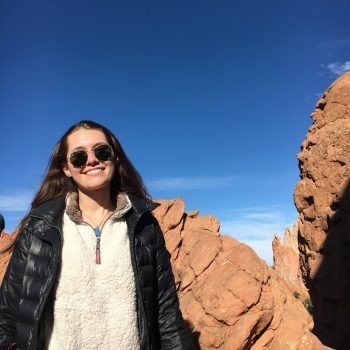 She wanted to be an S-Rep because she has been fortunate to see some beautiful places in nature and wants to make sure those places can be preserved for future generations. 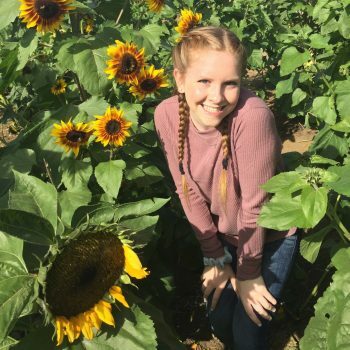 Nicole Dienst is a Ciccone Commons S-Rep from Westport, Connecticut. She intends to double major in English and Environmental Studies. Nicole is also a writer for the Maroon News, is on the Residential Commons Council, and is a member of Green Earth Gang. She is also an avid readers and enjoy hanging out with friends and playing sports. Nicole wanted to be an S-Rep so she could have real hands-on ability to improve sustainability at Colgate. 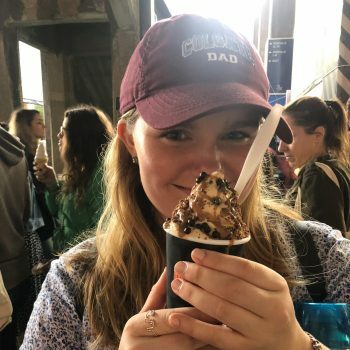 Kate Connelly is a Brown Commons S-Rep from Smithtown, New York. 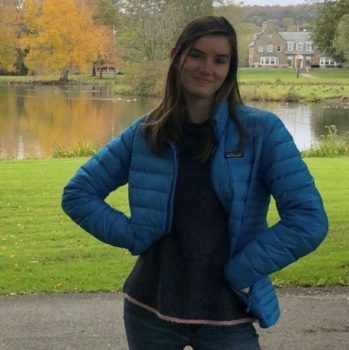 She intends to double major in Environmental Studies and Economics, and is also involved with Model United Nations and Hamilton Outdoor Group. In her free time Kate loves binge-watching Game of Thrones and quoting vines. She became interested in being an S-Rep because she wanted to be an advocate for change at Colgate. Melanie Crawford is a Ciccone Commons S-Rep from Atlanta, Georgia. 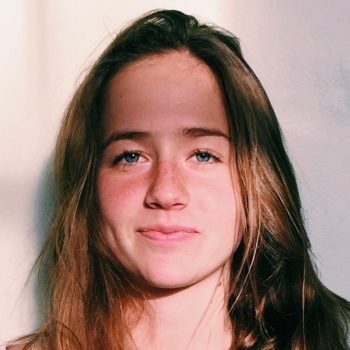 She intends to major in Environmental Economics, and spends her free time partaking in Green Earth Gang, spending time outdoors, and hanging out with friends. Nicole wanted to become an S-Rep because she was interested in spreading awareness about the environment through events and campaigns. Ramy Berenblum is a Dart Colgrove S-Rep from Bedford, New York. She intends to major in Environmental Studies and is also involved in Sidekicks and Club Squash at Colgate. Ramy loves to hike and backpack in her free time. She is excited to be a role model for sustainability on campus. Clare McCormack is a Dart Colgrove Commons S-Rep who intends to double major in Sociology and Political Science. She is also involved with the Equestrian Team, Planned Parenthood Generation Action, and Spoon University. Clare is a firm believer that everyone can pitch in to keep the Earth inhabitable and beautiful for many generations to come. Elisabeth Pezzuto is a Brown Commons S-Rep from Hilo, Hawai’i who intends to major in Biochemistry. Elisabeth spends her time on campus partaking in Outdoor Ed programs and dance programs. She also loves hiking, exploring new places, playing volleyball, and making ceramics. Elisabeth is very passionate about sustainable living and collectively doing small things that can make a big difference. 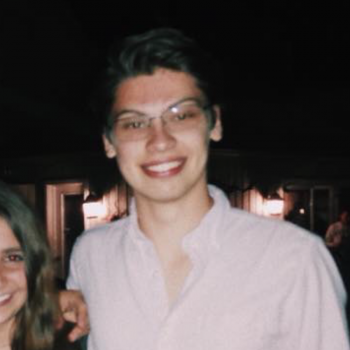 Sam Brotmann is a Brown Commons S-Rep from Pound Ridge, NY. He is currently undecided about his major. Sam is also involved in Students for Environmental Action and WRCU Radio at Colgate. In his free time, he enjoys playing bass guitar. 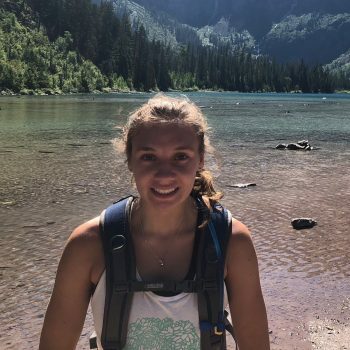 Sam has always been interested in the natural world and living sustainably, and is excited for the opportunity to make Colgate a better place. 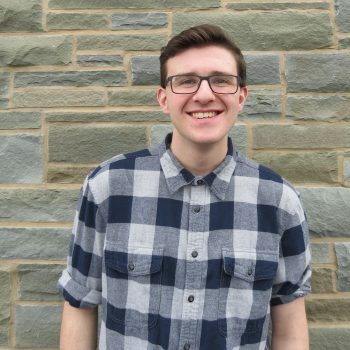 Liam Higgins is a Ciccone Commons S-Rep from Massapequa Park, NY. Liam intends to double major in History and Economics and is also a Mock Trial Attorney and Career Services Intern at Colgate. Liam loves listening to music in his free time. He was interested in becoming an S-Rep because he cares about the environment and promoting sustainability and taking every step possible to ensure that the Earth is habitable for generations to come. 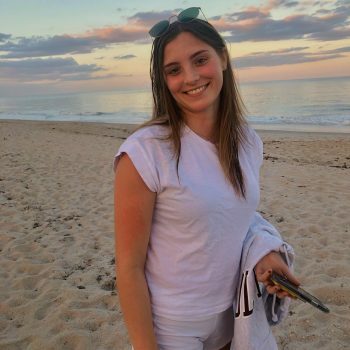 Charlotte Carey is a Ciccone Commons S-Rep from Balitmore, Maryland. She intends to major in Environmental Studies and is also in Club Squash and UCAN at Colgate. In her free time she loves to paint, learn about art history, and hike. Charlotte is so excited to learn more about the sustainable initiatives on campus and to be involved in making Colgate a greener school. Carbon emissions have recently been a hot topic of conversation both at Colgate and around the world. As the University engages in campus-wide conversations regarding carbon neutrality and carbon offsets, international reports on climate change emphasize the importance of mitigating carbon emissions. On November 23, 2018, the US government released a National Climate Assessment Report. The scientific report, which was issued by 13 federal agencies, warned of the consequences of climate change. In addition to environmental degradation and threats to marginalized communities, America’s economy could be reduced by as much as 10% by the end of the century. This report is one of many to have been recently released. In October, the IPCC released a report about an impending climate crisis, advising nations to take urgent action in order to limit global temperature rise to 1.5℃. Less than two months later, the UN released its annual Emissions Gap Report to check on how well countries are doing at reducing their greenhouse gas emissions. Alarmingly, global emissions currently are not on track to limit warming to 2℃. While international communities are highlighting the importance of mitigating carbon emissions, Colgate is taking responsibility for its carbon footprint and is on track to become carbon neutral in 2019. For students interested in learning about national climate assessments, four Colgate alumni who have worked on the National Climate Assessment Report will be on campus from Thursday, January 31 to Friday, February 1. The panelists are Ellen Mecray ’90, Director, Eastern Regional Climate Services, Center for Weather and Climate, U.S. Department of Commerce, NOAA; David Reidmiller ’01, Director, National Climate Assessment at the U.S. Global Change Research Program; Dan Barrie ’05, Program Manager with NOAA’s Climate Program Office and NOAA representative to USGCRP National Climate Assessment Steering Committee; and Natalie Bennett ’16, Adaptation and Assessment Analyst at the U.S. Global Change Research Program. On Thursday evening, they will present The Climate Dilemma: Findings, Impacts, and Actions from the Fourth National Climate Assessment. On Friday afternoon, they will present The Fourth National Climate Assessment: the Story behind the Report from Four Colgate Alumni. 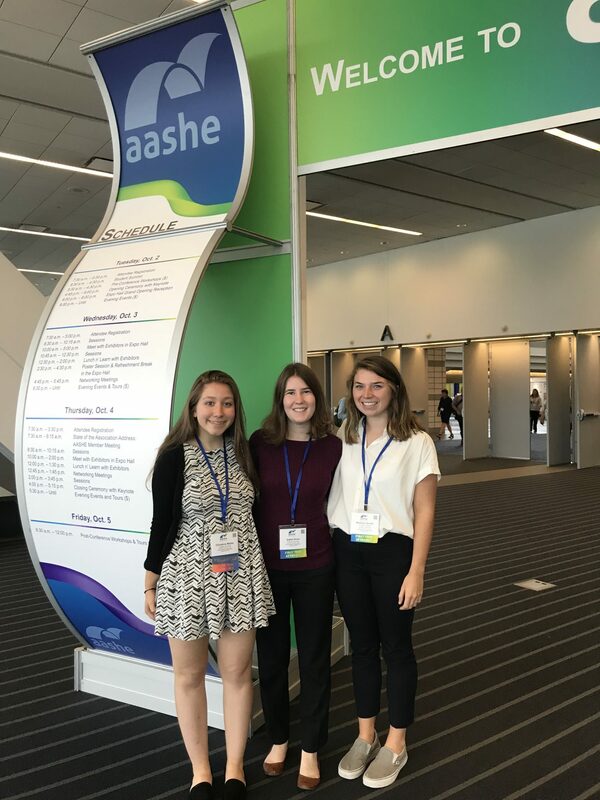 From October 2-4, three Colgate students and three staff members attended the AASHE Conference and Expo in Pittsburgh, Pennsylvania. AASHE, or the Association for the Advancement of Sustainability in Higher Education, hosts an annual conference attended by nearly two thousand people. The theme of this year’s conference was “Global Goals: Rising to the Challenge.” The conference gave attendees the opportunity to present their efforts to promote sustainability at Colgate as well as learn about successful projects at other universities. “People come to AASHE to make change-inspiring strategies accessible to all. I witnessed people actively solving how to scale new systems within different geographical and cultural contexts. It was truly a privilege to learn from and alongside such innovative sustainable thinkers,” said UCan founder Christina Weiler ‘21. (L to R) Christina, Isabel, and Maddie at AASHE. 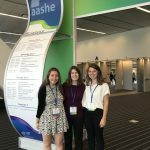 Thanks to funding support from CLTR, students were able to attend AASHE and view presentations, network with sustainability professionals, and present the work they have done at Colgate. Isabel Dove ‘19, an intern with the Office of Sustainability and founder of the Beekeeping Club, was a panelist on a presentation entitled “Pollinator Friendly Campuses: Strategies to Help You Get Your Buzz on.” Isabel discussed student involvement with campus apiaries and gave advice for establishing apiaries at other institutions. 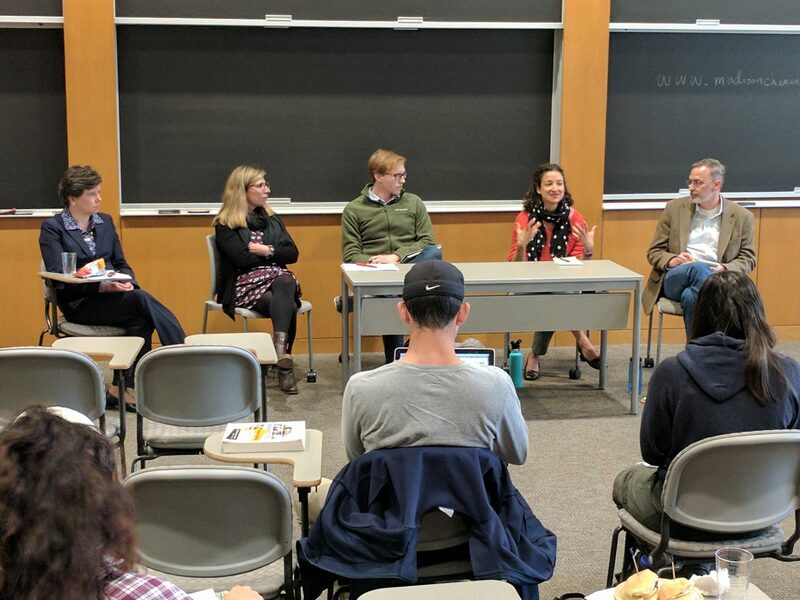 Intern Madison Smith ‘19 and Christina Weiler ‘21 both served as panelists on “Sustainability-themed Living and Learning Communities,” in which they discussed Colgate’s innovative S-Rep program. Christina also presented a poster on her social recycling system UCan. Sustainability and Environmental Studies Program Coordinator Pamela Gramlich co-lead the workshop “Develop Your Toolkit for Sustainability Communications.” Pamela and Kat Pritts, a designer for the Communications Office, both contributed to the presentation “Communication Strategies to Reach Beyond the Choir.” Finally, Director of Sustainability John Pumilio served as a panelist on the presentation “Approaches to Carbon Offset Procurement.” These workshops and presentations were an effective way of communicating Colgate’s leading-edge approaches to promoting sustainability on campus. Colgate University is currently home to 16 state-of-the-art Elkay water refill stations, and is on the path to installing more. This cleaner, more energy-efficient water experience is something that students have come to understand as part of their lives, but they have not been around forever. The University has installed these water refill stations in several batches, with each new addition following student backing and request. In 2015, a refill station was installed in the renovated Cooley Science Library, and in 2016, four were installed on the first, third, fourth, and fifth floors of Case-Geyer. Many of these projects have been the direct result of SGA proposals that highlighted the essential role the stations could play in encouraging sustainable behavior and showcasing sustainable living at Colgate. Bryan Complex just received an Elkay water refill station thanks to a successful SGA proposal, and 113 Broad is expected to receive one before 2019. 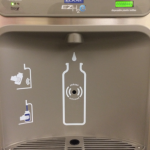 Students have expressed that these stations significantly benefit their lives, as they promote both sustainable behaviors and regular hydration. “I think I drink much more water here [at Colgate] than I do at home, because every time I walk by one of those stations, I am reminded to fill my bottle up. At home if I’m thirsty, I just grab a plastic water bottle but I regularly use a reusable bottle while here,” said Jared Collins ’21. The Elkay water refill stations leads to a wider acceptance and normalization of reusable water bottle use. This is important because last year, the average American used 167 disposable water bottles, but only recycled 38, leading to significant environmental harms. The Elkay water refill stations not only save money spent on disposable water bottles and add convenience to the lives of students, but also decrease waste associated with single-use bottle production and disposal. While more widespread use of reusable water bottles by Colgate students has been encouraged by the Elkay water refill stations, there is still room for improvement. Perhaps the largest obstacle to reducing plastic waste is that many students do not feel comfortable drinking the tap water here and consequently opt to drink bottled water. One student reports, “It’s convenient to keep plastic bottles in the room, because I’m unsure about the quality of the tap water. It doesn’t taste as good as water from other places.” While Colgate’s tap water is safe to drink and is regularly tested for safety, the Elkay stations do provide students with another, better-tasting option to refill their bottles. While Colgate is making great strides to encourage healthy, sustainable lifestyles and reduce waste, we can still do much more! 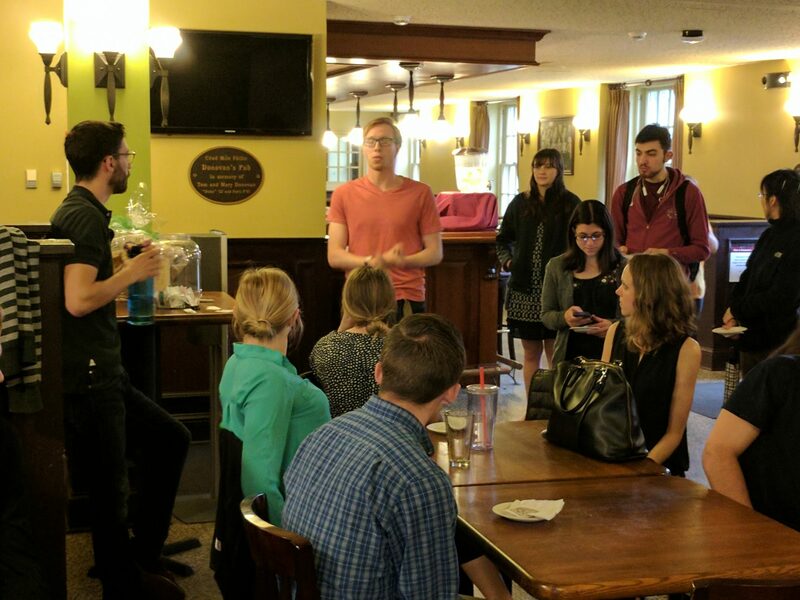 If students are passionate about these issues, some outlets for these concerns might be talking to Commons leaders, seeking funding from various student groups, or simply putting their concerns in the public eye where decision-makers are aware of them. We encourage student participation in this conversation for greater sustainable living!